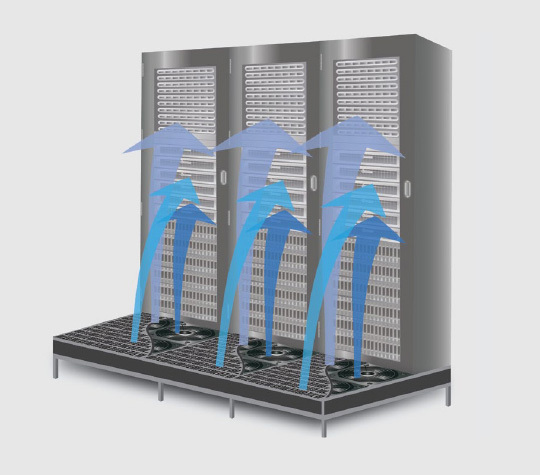 The Cool Shield AirBoost under-floor fan system offers direct cooling to those hard to cool areas where clusters of high-density servers have created hotspots. 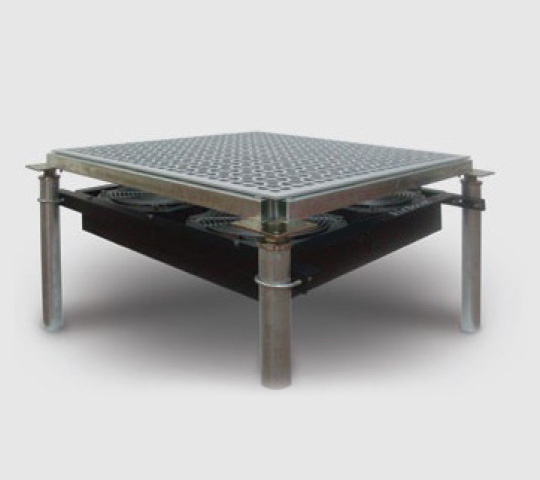 It can also provide additional airflow in areas where there is low underfloor pressure. The AirBoost is available in two models. The manual controlled unit allows. Since loads within a cabinet are fairly static, this more cost-effective approach is sufficient for most data centers. For sites with more dynamic loads, a temperature controlled unit that supports up to three remote temperature sensors to control fan speed as the temperature increases or decreases. 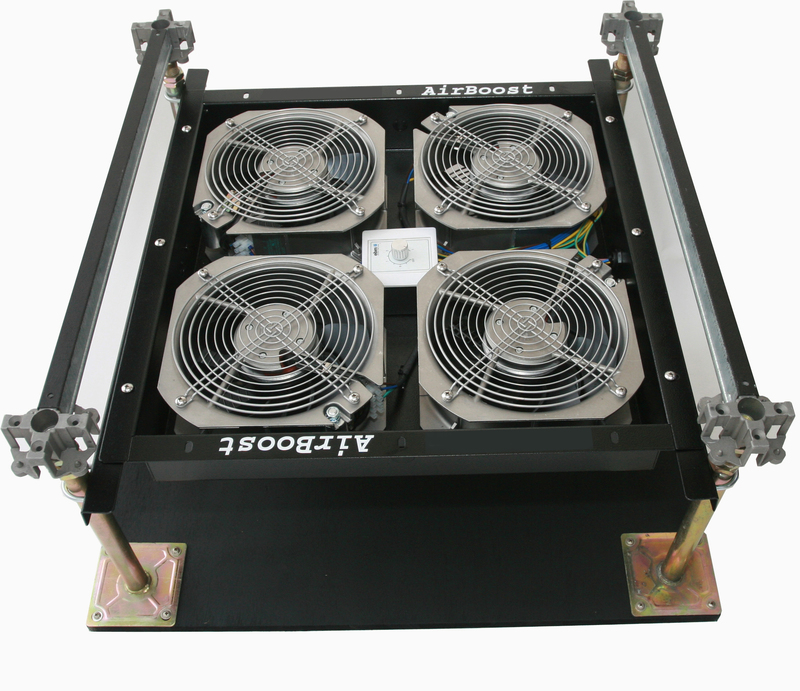 No downtime or movement of racks is required for the installation of an AirBoost unit and one AirBoost can provide cooling for two or three adjacent racks. 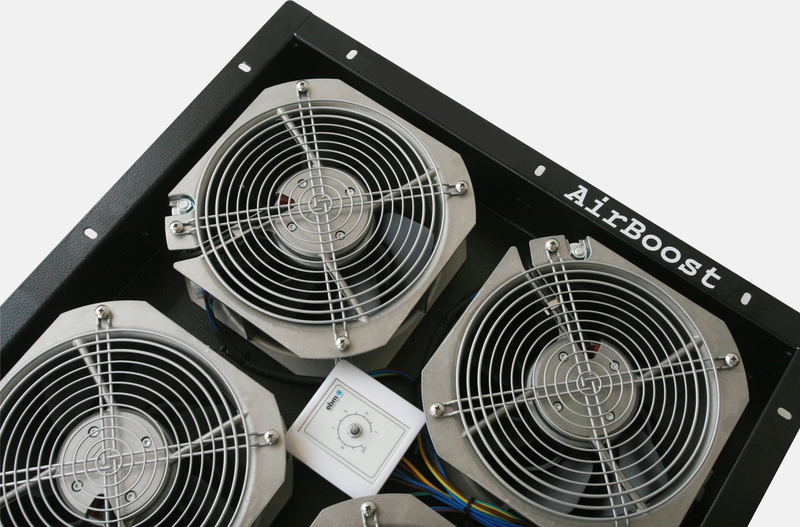 If larger areas require cooling, multiple AirBoost units can be used at the same time. AirBoost is easy to install and is placed underneath existing high flow floor tiles. Fan and tile bundles are available if needed. Contact us today for special pricing offers.